A firm in Italy, Malfy, notes that gin was first created in Italy in the 11th century by monks adding juniper and other botanicals to an alcohol base. Today, you may have some folks created gin, very good gin, just down the street from you. Gin is “in” every way possible. I’ve started with a bottle of blood orange. I’m getting the rest this week. The Malfy website has a lovely armada of cocktails recipes, noted for their simplicity. Complexity is not needed because these spirits are inherently filled bright flavors. 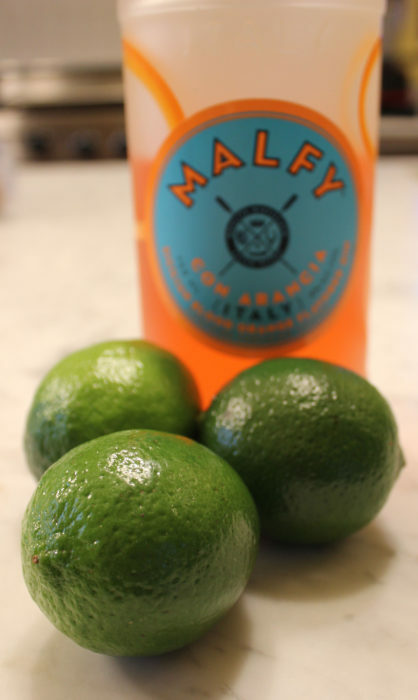 The Malfy website says to make this cocktail with a dash of simple syrup and a dash of orange bitters. I’ve changed things up a bit as you will see. This cocktails just bounces with flavor. Oh, if I can change a recipe, so can Suzi. She had my version of the drink, was sitting there with a pint of actual blood orange juice and added a squirt. “Try it,” she said. I did and I love them both. These Malfy spirits seem ideal for your cocktail exploration. Place all the ingredients in a cocktail shaker filled with ice. Shake to chill. Pour into a beverage glass filled with crushed ice.